Equine Neurology, Second Edition is a comprehensive,clinically oriented reference to neurologic diseases and conditionsin equine patients. Offering a highly practical,problem-based approach, the book provides diagnostic algorithms,charts, and tables, all intended to act as resources for thenervous system exam, differential diagnosis, and treating neurologypresentations. For the first time, the Second Editionincludes access to downloadable video clips on a companion website,and adds chapters on imaging the nervous system, neuronalphysiology, sleep disorders, head shaking, differential diagnosisof muscle trembling and weakness, and cervical articular processjoint disease. 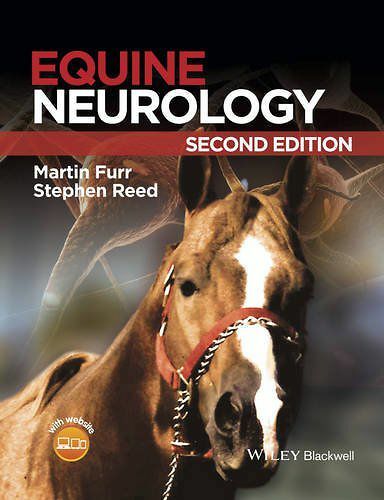 The only book to bring together information on equine neurologyinto a single source, the coverage encompasses the foundations ofclinical neurology, clinical neurology such as the exam,diagnostics, differentials, and neuropathology, and specificdisease syndromes. Equine Neurology, Second Edition isan essential tool for veterinary clinicians and students toeffectively and confidently recognize, diagnose, and treatneurologic disorders in equine patients.